This morning it’s another edition of the perfume review series I started recently. For details or to go back to the beginning you can find it here. I got this perfume during one of the Harrods sales a year or two ago and it has been my general go to perfume in recent months. It’s a mixture of me liking it and realising that I’ve got past half way that has kept me using the product recently. the latest addition to the Diamonds collection. A fresh interpretation of the original fragrance for women, this Eau de Toilette includes notes of rose, raspberry and blackcurrant. 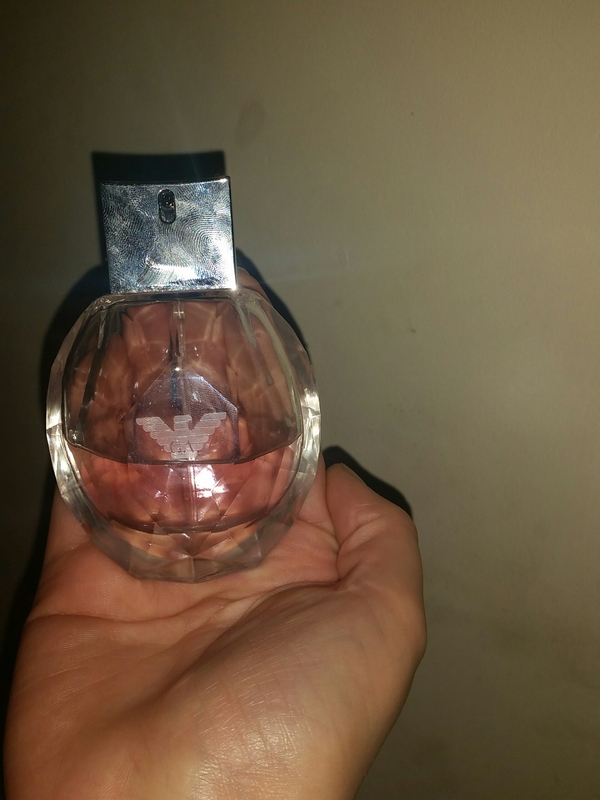 It also has a breakdown of the other ingredients and scents used to create the perfume but they are not noticable on the nose and seem to be there to add to the main scents and balance out the ones that are supposed to be the focus. The rose and blackberry are the main aromas that remain on the skin and they compliment each other well after they have settled down. The initial tones of raspberry and bergamot seem to never fight past the blackberry or make their way into the nose before the floral tones come bursting through. Woody aftertones are present thanks to the inclusion of “woody amber accord” but it just helps to strengthen the blackberry and cast the memory back to blackberry picking in the nature with fields and trees around. I find this perfume to feel very feminine, not too fruity and gentle in the floral department. It doesn’t overwhelm and is perfect for most situations. Because of its gentle nature the staying power of the product isn’t thr greatest but the scent in general really makes up for that. It is also pretty affordable compared to other branded perfumes of the same size and scents on the market. This entry was posted in Beauty, Perfume and tagged aroma, bblogger, bbloggers, be delicious, Beauty, beauty blogger, beauty bloggers, beauty product, beauty regime, blogger, bottle, dkny, edp, fashion, fashion blogger, floral, fruit, gift, lblogger, lbloggers, Lifestyle, lifestyle blogger, lifestyle bloggers, new york, partner, Perfume, perfume bottle, perfume review, present, product review, review series, scent, series, style, ukblogger, wood. Bookmark the permalink.